There were 2 significant events that happened in Singapore during July 2016. One is the Demo Day of Startupbootcamp FinTech Singapore where we celebrate the end of our 3 months long startup accelerator programme. The other is the long awaited Michelin Guide Singapore where Michelin Stars will be anointed to restaurants in Singapore for the first time. Yes, I’m a startup buff and also a foodie, but honestly, who isn’t crazy about both in Singapore. There are less than 120 3-Star Michelin-rated restaurants in the world and there are 174 Unicorn companies. If Unicorn status was judged on quality, resilience of founders, value for investment money and performance consistency, with the same scrupulous level of detail as the Michelin Guide, there would not be as many Unicorns in the playing field right now. Have you developed a unique product with strong, sustainable competitive advantages and a potentially huge market? Looking at the likes of El Bulli, Alinea and Fat Duck, they are masters of molecular gastronomy (unique), constantly reinventing their menus (competitive advantage) and are notoriously difficult to score table reservations because of their uber long waiting list (huge market). Strong industry experience, experience working in the tech industry is a plus. Have worked together or know each other really well. Do you have resilience as a team to endure the high-stress levels that come with starting a business? It’s not sufficient to have a genius CEO with great vision. In a world class kitchen, the head chef needs the help of his entire team of executive chefs, sous chefs, dessert chefs, and servers to run the restaurant. The chemistry of the team is important. The team needs to work like clockwork the moment dinner service starts. In a tasting menu setting where 10 or more dishes are served, just 1 mistake will tarnish the whole dining experience that may lead to reputational damage. One of the key advantages of participating in an accelerator program is the access to a large pool of mentors and advisors who can guide and help your startup. In Startupbootcamp FinTech Singapore, our mentors come mostly from the financial industry and offer their expertise that are directly relevant to FinTech startups. Collectively, the mentors offer centuries of experience that no individual can ever have. Joel Robuchon, chef of the century, mentored luminaries like Gordon Ramsay and Eric Ripert. Both have Michelin 3 stars restaurants. If chefs of their level need mentors, you do too! Main Course – Partnerships or Traction? 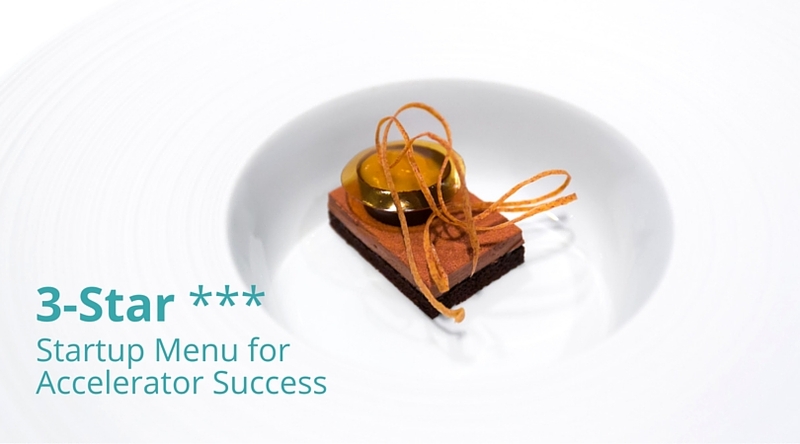 Any tasting menu will have at least 1 or 2 main courses, the supposed highlight of the menu; however, many Michelin star restaurants had failed to leave an impression, as their main courses fall flat compared to their promising starters. In the same way, our mission at Startupbootcamp is to help our teams build business partnerships or traction or both. This is done with strong support from our corporate partners, who are as passionate about building meaningful partnerships with the startups. We guide and advise the startups in implementing the best customer experience, and launch strategies to gain traction. Investors and corporations alike will assess a startup based on these milestones achieved. Desserts round off any tasting menu and this is where the rare 2 to 3 starred restaurants separate themselves from the 1 stars. While the desserts at 1 star restaurants are generally run of the mill, the truly great restaurants continue to raise the bar. When startups raise funding, the better quality VCs and angels will bring value and separate themselves by providing support via their networks and expertise. When fundraising, always question yourself and prospective investors how do they complement you and provide the icing on the cake? The entrepreneurial journey is never easy. There is never a fixed recipe you can follow that guarantees success. There are plenty of famous chefs who have published their cookbooks with no Michelin stars to show. Now ask yourself, do you want to be a Racheal Ray or a Joël Robuchon? Bon Appetit! 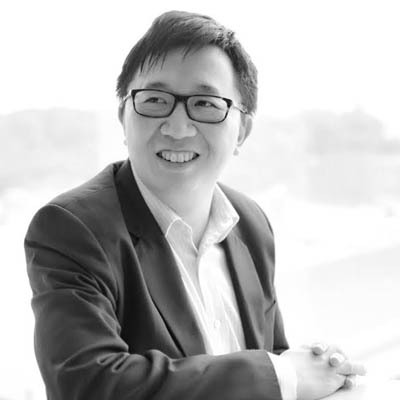 Steven Tong is the Managing Director of Startupbootcamp FinTech Singapore with more than 10 years of experience in startups and investment portfolio space. He had dined in restaurants that have a combined total of 61 Michelin Stars and can’t wait for the Michelin Guide Singapore to be published. The article first appeared on Startupbootcamp.